The food industry doesn’t want you to know the truth about what you are eating because if you did - you might not eat it! It is a world deliberately hidden from us. Most people have no idea where their food comes from (do you?). You now have no excuse to be uninformed about the foods you buy and eat. 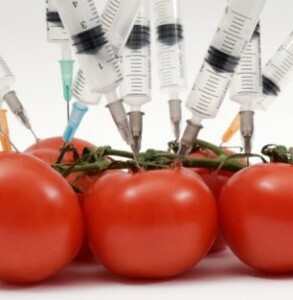 I can say with absolute confidence that there is irrefutable and overwhelming evidence that genetically engineered foods are harmful and that they are not being evaluated properly by the governments of India, United States, the European Union, or anywhere in the world,” says Jeffrey M. Smith, Founder Director, Institute of Responsible Technology. In the award winning documentary, Food, Inc., filmmaker Robert Kenner lifts the veil on our nation's food industry, exposing the highly mechanized underbelly that's been hidden from the American consumer with the consent of our government's regulatory agencies, USDA and FDA. Our nation's food supply is now controlled by a handful of corporations that often put profit ahead of consumer health, the livelihood of the American farmer, the safety of workers and our own environment. We have bigger-breasted chickens, the perfect pork chop, insecticide-resistant soybean seeds, even tomatoes that won't go bad, but we also have new strains of E. coli — the harmful bacteria that causes illness for an estimated 73,000 Americans annually. We are riddled with widespread obesity, particularly among children, and an epidemic level of diabetes among adults. “We are eating food that has the potential to stunt our growth, impair our immune system and adversely affect all our vital organs,” says Ajay Kanchan, director of this award winning documentary showing the documented dangers of genetically engineered foods and crops. 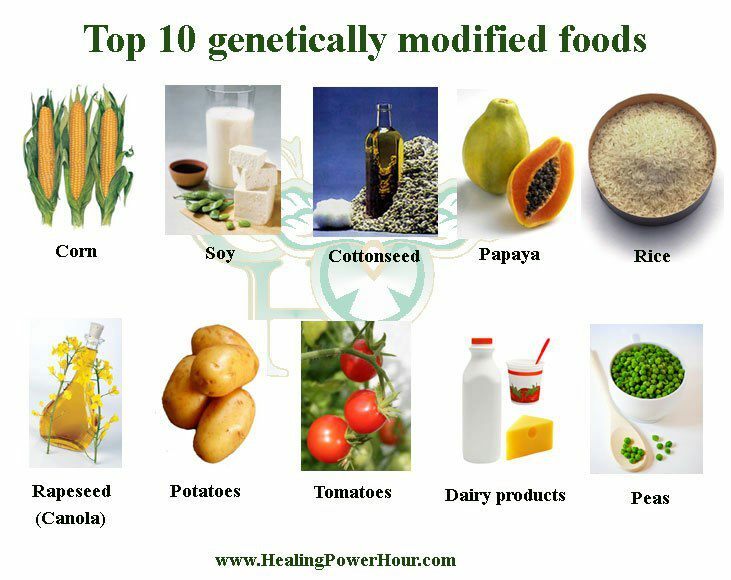 Trials of Genetically Modified Foods on lab animals across the world have repeatedly shown that they cause bleeding stomachs, and adversely affect brain, lungs, liver, kidney, pancreas and intestine. They have been even linked to higher offspring mortality and causing infertility. accelerates aging (oxidation) of your body. weaken your body's immune system. accelerates osteoporosis and degenerative bone/joint diseases. Processed foods have been altered from their natural state for "safety" and convenience reasons. And scary as it seems, about 90 percent of the money that Americans spend on food is used to buy processed items. But convenience isn't the only thing you get when you eat processed foods. 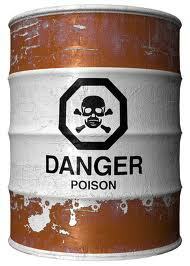 There's a whole list of extra ingredients that manufacturers add and combined, they have deadly effects on each of us. Take a look at the list of ingredients from the strawberry flavoring of a milkshake served at a zip-through restaurant: Amyl acetate, amyl butyrate, amyl valerate, anethol, anisyl formate, benzyl acetate, benzyl isobutyrate, butyric acid, cinnamyl isobutyrate, cinnamylvalerate, cognac essential oil, diacetyl, dipropylketone, ethyl butyrate, ethyl cinnamate, ethyl heptanoate, ethyl lactate, ethyl methylphenylglycidate, ethyl Nitrate, ethyl propionate, ethyl valerbate, heliotropin, hydroxphrenyl-2butanone(10% solution to alcohol), a-ionone, isobutyl anthranilate, isobutyl butrate, lemon essential oil, maltol, 4-methylacetophenone, methyl anthranilate, methyl benzoate, methyl cinnamate, methyl heptine carbone, and methyl naphthyl ketone. To Enhance Color - Blue Dye 1, 2; Red Dye 3; Green Dye 3; Yellow Dye 6-has been linked to thyroid, adrenal gland and kidneys tumors. 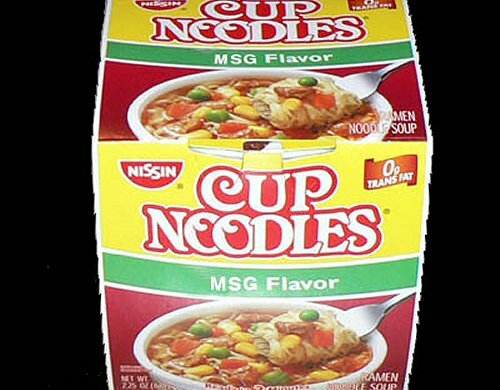 To Enhanced Flavors- MSG- most canned soups, dressings, chips, crackers. frozen foods-can cause severe headaches, nausea, damages nerve cells in the brains of mice. To Bleach - Disinfects and whitens your bread flour - strips away all the essential nutrients from the wheat grain. To Sweeten - Saccharin and Aspartame-Reported to FDA to cause headaches, memory loss, seizures, vision loss, coma, and cancer. To Preserve - BHA - BHT --Found in cereal, chewing gum, potato chips, and vegetable oils- increase the risk of cancer and accumulate in body tissue, causing liver enlargement. To Preserve and maintain a red color in many processed meat products - Sodium Nitrate/ Sodium Nitrite - Nitrosamines are among the most dangerous. Studies confirm that nitrates and nitrites can cause prostate, breast and stomach cancers in humans. CBN News investigates MSG's (Monosodium Glutamate) impact -- on obesity, the brain, the heart and even cancer. Striped Bass or Rockfish ** Farmed Salmon may contain PCB's, chemicals with serious long-term health effects. - Mercury from metal fillings and flu shots. In this episode, Suzanne speaks with mom and green home expert, Dawn Lorenz (www.raisingnaturalkids.com) about ways to rid your home of harmful toxins and chemicals. How Twizzlers/Gummy Candy Is Made - Totally Gross!!! Over eten - De weg van een snoepje from Eén on Vimeo. A grisly video has emerged showing exactly how gelatin, a popular ingredient for sweets, is made. 70% of ALL Beef, Chicken and Sea Food has been treated with Carbon Monoxide Gas. It makes bad meat look good even though it may have spoiled. The practice of treating meat with carbon monoxide could hide the growth of pathogens such as Clostridium Botulinum, Salmonella and E. coli. Although more common in women, copper overload is an overlooked contributor to many health issues. Copper toxicity signs and symptoms include depression (including postpartum), AD(H)D, anxiety, panic disorder, chemical and food sensitivities, PMS, amenorrhea, infertility, hair loss, fibromyalgia, anemia, skin rashes, thyroid problems, adrenal fatigue, headaches, insomnia, spaciness, racing thoughts, weight gain, acne, premature graying of the hair, and chronic infections. Newly-released court papers question the safety of Roundup, one of America's most popular weed killers. More than 200 lawsuits have been filed against Monsanto, the chemical giant that makes Roundup, in the last two years. Attorneys claim the papers show Monsanto took steps to spin research on possible cancer links to Roundup's main ingredient. Mireya Villarreal reports. Many fruits and vegetables are grown with pesticides to get rid of bugs. Although nobody wants to find a creepy crawly thing in a peach or tomato, according to the Environmental Working Group, even small doses of pesticides can adversely affect your health. Fortunately, you can drastically reduce your exposure to pesticides and bacteria found on produce with a thorough vinegar and water wash. Experts found that a white vinegar and water wash kills 98% of bacteria and removes pesticides. Food safety tests released by the Alliance for Natural Health-USA show the presence of glyphosate, the most widely used industrial weed killer best known as Monsanto’s Roundup, in 46 percent of popular breakfast foods tested. 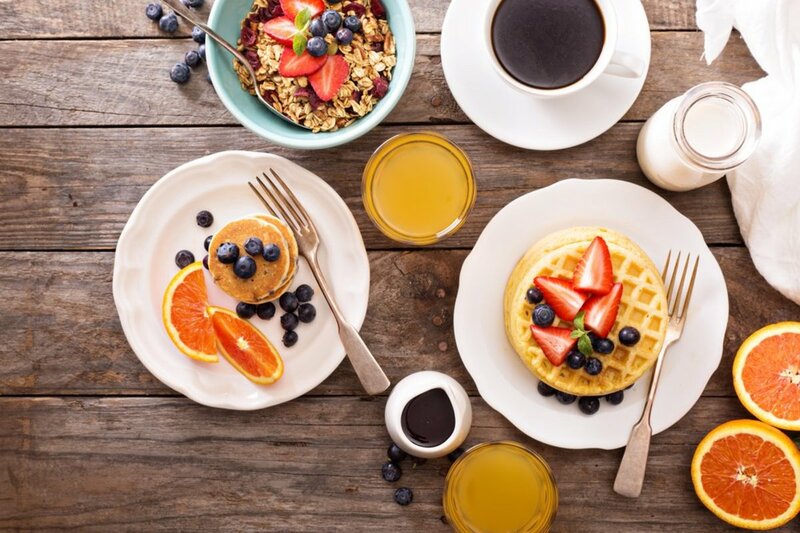 24 breakfast food samples were tested by an independent laboratory, and 11 tested positive for the chemical, including oatmeal, bagels, eggs, potatoes, and non-GMO soy coffee creamer. Surprisingly, some of the highest levels of the chemical were found in organic products, such as organic, cage-free eggs and organic bread. While glyphosate is often sprayed on corn and soy genetically designed to withstand the chemical, its presence in eggs and dairy points to the possibility that glyphosate is building up in the tissue of animals who eat the sprayed crops. This may also point to the same problem for humans who consume it in their food. This new data will likely increase the urgency with which the FDA begins testing for the industrial weed killer in foods, an initiative announced in February. While most of the products’ glyphosate contents were lower than what U.S. regulators consider allowable, what is considered safe in the U.S. is higher than what is allowed in other nations, particularly the EU, Carey Gillam, research director for U.S. Right to Know reports. Last year, glyphosate was added the International Agency for Research on Cancer list of foods that are “probably carcinogenic to humans” by the World Health Organization. Who hasn't heard of the marvels of soy? The marketing bandwagon has touted soy as the perfect health food for decades. But could something that sounds so healthful actually be dangerous? If you take the time to look into the actual science, then the answer is yes. Thousands of studies link soy to malnutrition, digestive distress, immune system breakdown, thyroid dysfunction, cognitive decline, reproductive disorders and infertility -- even cancer and heart disease. One of the primary reasons it would be wise for you to avoid soy is that more than 90 percent of soybeans grown in the United States are genetically modified. Since the introduction of genetically engineered foods in 1996, we've had an upsurge in low birth weight babies, infertility, and other problems in the U.S., and animal studies have shown devastating effects from genetically engineered soy including allergies, sterility, birth defects, and offspring death rates up to five times higher than normal. Soybean crops are also heavily sprayed with chemical herbicides, such glyphosate, which a French team of researchers have found to be carcinogenic. Soybeans -- even organically grown soybeans -- naturally contain "antinutrients" such as saponins, soyatoxin, phytates, trypsin inhibitors, goitrogens and phytoestrogens. Traditional fermentation destroys these antinutrients, which allows your body to enjoy soy's nutritional benefits. However, most Westerners do not consume fermented soy, but rather unfermented soy, mostly in the form of soymilk, tofu, TVP, and soy infant formula. 1. High Phytic Acid (Phytates): Reduces assimilation of calcium, magnesium, copper, iron and zinc. Phytic acid in soy is not neutralized by ordinary preparation methods such as soaking, sprouting and long, slow cooking, but only with long fermentation. High-phytate diets have caused growth problems in children. 2. Trypsin inhibitors: Interferes with protein digestion and may cause pancreatic disorders. In test animals, trypsin inhibitors in soy caused stunted growth. 3. Goitrogens: Potent agents that block your synthesis of thyroid hormones and can cause hypothyroidism and thyroid cancer. In infants, consumption of soy formula has been linked with autoimmune thyroid disease. Goitrogens interfere with iodine metabolism. 4. Phytoestrogens/Isoflavones: Plant compounds resembling human estrogen can block your normal estrogen and disrupt endocrine function, cause infertility, and increase your risk for breast cancer. 5. Hemagglutinin: A clot-promoting substance that causes your red blood cells to clump, making them unable to properly absorb and distribute oxygen to your tissues. 6. Synthetic Vitamin D: Soy foods increase your body's vitamin D requirement, which is why companies add synthetic vitamin D2 to soymilk (a toxic form of vitamin D). 7. Vitamin B12: Soy contains a compound resembling vitamin B12 that cannot be used by your body, so soy foods can actually contribute to B12 deficiency, especially among vegans. 8. Protein Denaturing: Fragile proteins are denatured during high temperature processing to make soy protein isolate and textured vegetable protein (TVP). Chemical processing of soy protein results in the formation of toxic lysinoalanine and highly carcinogenic nitrosamines. 9. MSG: Free glutamic acid, or MSG, is a potent neurotoxin. MSG is formed during soy food processing, plus additional MSG is often added to mask soy's unpleasant taste. 10. Aluminum and Manganese: Soy foods contain high levels of aluminum, which is toxic to your nervous system and kidneys, and manganese, which wreaks havoc on your baby's immature metabolic system. Soy's antinutrients are quite potent. Drinking just two glasses of soymilk daily provides enough of these compounds to alter a woman's menstrual cycle. But if you feed soy to your infant or child, these effects are magnified a thousand-fold. Infants fed soy formula may have up to 20,000 times more estrogen circulating through their bodies as those fed other formulas. You should NEVER feed your infant a soy-based formula! In fact, infants fed soy formula take in an estimated five birth control pills' worth of estrogen every day. As dangerous as unfermented soy is, fermented soy from organic soybeans is a different story altogether and can be a beneficial part of your diet. Fermented soy is a great source of vitamin K2, and K2 (combined with vitamin D) is essential in preventing osteoporosis, cardiovascular disease, dementia, and various types of cancer. An average cup of Campbell's regular Condensed Soup has 810 mg of sodium. But most people eat the whole can of soup, which contains 2,030 mg of sodium - more than most adults should consume in an entire day! Look for Campbell's Healthy Request soups with sodium in the 400s (still a lot if you eat the whole can). Better yet, choose reduced-sodium soups by Amy's, McDougall's, Health Valley, Imagine Foods, Pacific Foods, Tabatchnick, and Trader Joe's. Interested in a Chipotle Chicken Burrito (tortilla, rice, pinto beans, cheese, chicken, sour cream, and salsa)? Think of its 1,020 calories, 16 grams of saturated fat, and 2,400 mg of sodium as six Taco Bell Chicken Soft Tacos! Lose the flour tortilla and order a Burrito Bowl or Salad instead to drop the calories to around 500 to 700. People don't expect low-calorie desserts at The Cheesecake Factory. But the Chocolate Tower Truffle Cake kicks things up a notch. If it weren't served on its side, this one would stand over six inches tall. And upright or not, the slab of cake still weighs in at three-quarters of a pound. What do you get for all that heft? Just 1,900 calories and 3 days' worth of saturated fat (62 grams), mostly from chocolate, sugar, cream, white flour, and butter. Can't decide what to pick from a restaurant menu? No worries. Now you can order not just one entree, but two... or three... all at once.Olive Garden's Tour of Italy - homemade lasagna, lightly breaded chicken parmigiana, and creamy fettuccine alfredo - comes with 1,450 calories, 33 grams of saturated fat, and 3,830 mg of sodium. Add a breadstick (140 calories and 370 mg of sodium) and a plate of Garden-Fresh Salad with dressing (150 calories and 760 mg of sodium) and you'll consume 1,740 calories (nearly a day's worth) and 4,960 mg of sodium (3 days' worth) in a single meal! The Starbucks Venti (20 oz.) White Chocolate Mocha with 2% milk and whipped cream is more than a mere cup of coffee. It's worse than a McDonald's Quarter Pounder with Cheese. Few people have room in their diets for the 580 calories, 14 grams of saturated fat, and 11 teaspoons of added sugar that this hefty beverage supplies. But you can drop the calories to 270 and saturated fat to 3 1/2 grams if you get a Tall (12 oz.) made with nonfat milk and no whipped cream. Cold Stone Creamery's Oh Fudge! shake (chocolate ice cream, milk, and fudge syrup) starts at 820 calories for the small "Like It" (12 oz.) size. That's about the same as a large (22 oz.) McDonald's McCafé Shake. The larger "Love It" (20 oz.) size reaches 1,360 calories and 52 grams of saturated fat (2 1/2 days' worth). That's the saturated fat content of two 14-oz ribeye steaks plus a buttered baked potato, all blended into a handy 20-oz cup.